The last week of August is one of our faves. But, of course! It’s “Be Kind To Humankind” week. Last year we promoted this “kind” observance with a week-long project. This year, however, we will be publishing one post, and challenging you to create your own personal “bk2hk” week. We are asking you to get your kindhearted nature on. Support this cause by raising your awareness to kind acts that you can perform everyday — making you one super-duper “kind” villager. So what exactly is “bk2hk” week??? It is a celebration of people and the kind acts they perform all over the globe. Started by Lorraine Jara from Toms River, New Jersey 26 years ago, and it is still going strong with the message that kindness can enrich our lives if we decide to think…speak…act kindly. Okay … back to the challenge. Try to consciously act a bit kinder this week with the themes per the “bk2hk” website that are listed below. YES. We are a bit late…better late than never, right??? Here’s the list. Good luck! AND … why an animal in this pic??? Because kids, Dora is the one of the best examples of what “bk2hk” is all about. 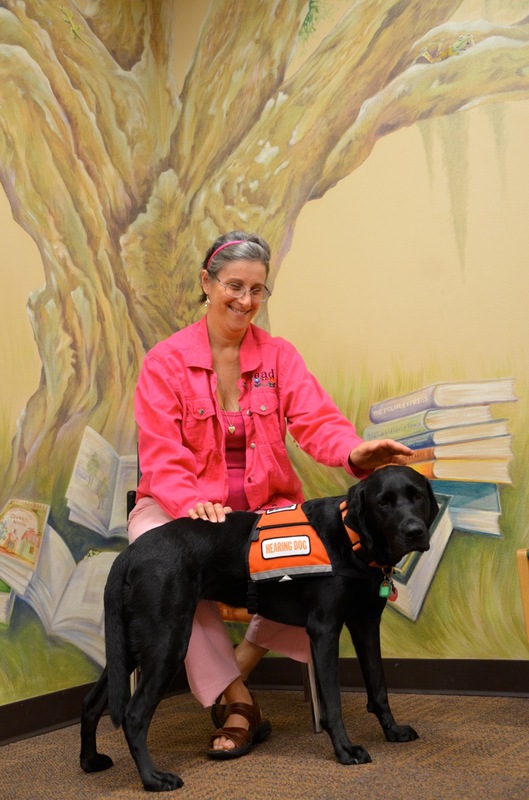 She is NEADS dog, which is a highly skilled assistance dog for people who are Deaf or have disabilities. Dora assists Mary Ann De Meo, Technical Services Librarian, in making her life run a little easier by being her ears in the world in which we exist. Now that’s what we call KIND! It’s what the WORLD needs now…it’s what we all need now. Take the challenge and notice how your heart starts to sing, stress melts away and how your week flows like a lazy creek taking you downstream to the weekend…aaahhhh. Making a difference one dog at a time. This blog was created to appreciate the “little things” in our community that make it so special, and to recognize other causes and campaigns that can create well-being in our everyday lives. Let’s start with the “little” part, shall we? 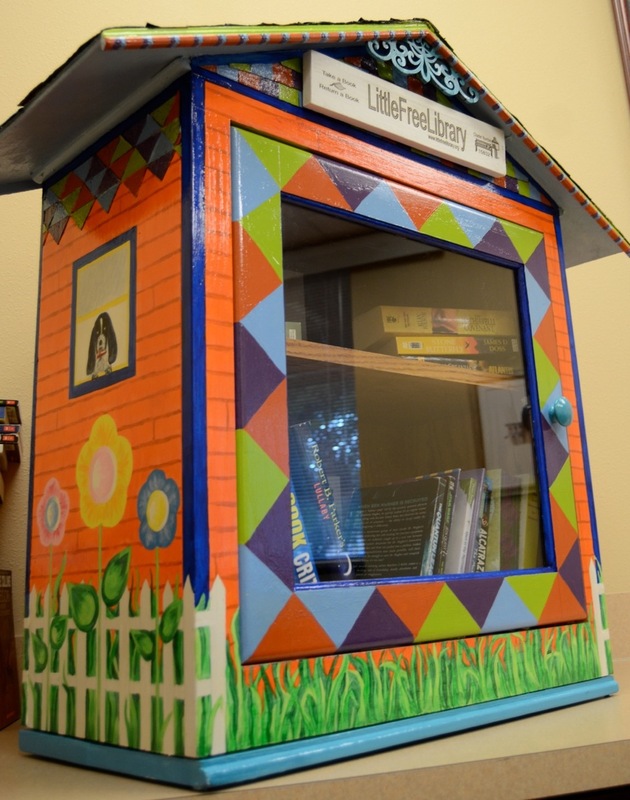 Our lovely Safety Harbor Public Library is thrilled to be stewards of two Little Free Libraries to pop up in the village in the next week. These public art pieces will be housed with books that are free to anyone who stops by… that’s right, no library card needed. It’s a “take a book, leave a book” community gathering place, and it’s here in the village for the purpose of sharing literature and the love of books. Now… onto the cause or campaign. The Little Free Library was created by Todd Bol, who constructed a miniature one room schoolhouse and hoisted it upon a sturdy foundation on his front lawn. He filled it with books–free to anyone–for the purpose of promoting literacy and sharing the joy of reading. The Little Free Library movement has grown rapidly since it first began in 2009. Today there are about 15,000 LFLs worldwide granting free access to books to all that visit. – To promote literacy and the love of reading by building free book exchanges worldwide. – To build a sense of community as we share skills, creativity and wisdom across generations. These are not books, lumps of lifeless paper, but minds alive on the shelves. From each of them goes out its own voice… and just as the touch of a button on our set will fill the room with music, so by taking down one of these volumes and opening it, one can call into range the voice of a man far distant in time and space, and hear him speaking to us, mind to mind, heart to heart.